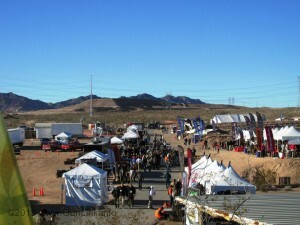 The end (of January) is nigh, and that means that we are wrapping up another SHOT Show – the National Shooting Sport Foundation’s annual Shooting, Hunting, and Outdoor Trade Show which showcases the best new innovations that the industry has to offer. As in past years, the GunLink crew spent an action packed week-long stint in Las Vegas to cover the show – from the live fire demos of SHOT Show Range Day right through all four days of walking the 640,000 square feet of show floor to visit the more than 1,600 exhibitors. If you didn’t make it to the Range Day, here is what you missed. As always, Glock was at Range Day to let attendees get trigger time on their latest pistol offerings. They had their new Modular Optic System (MOS) line of pistols that come from the factory ready to accept the reflex sights popular with competition shooters and CCW-ers. 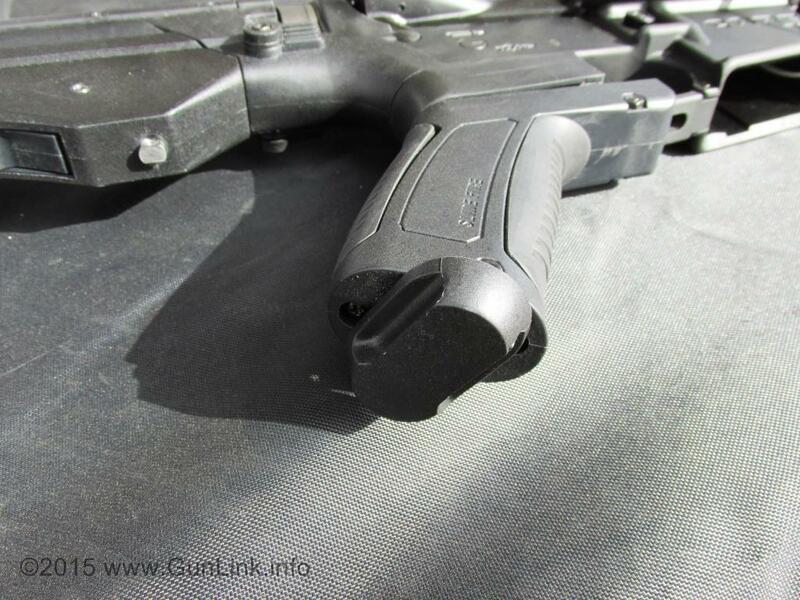 The MOS line includes the new long-slide 10mm G40. For more on the new Glocks, see New GLOCK Models Officially Unveiled at SHOT. By now we have all heard about what they did. 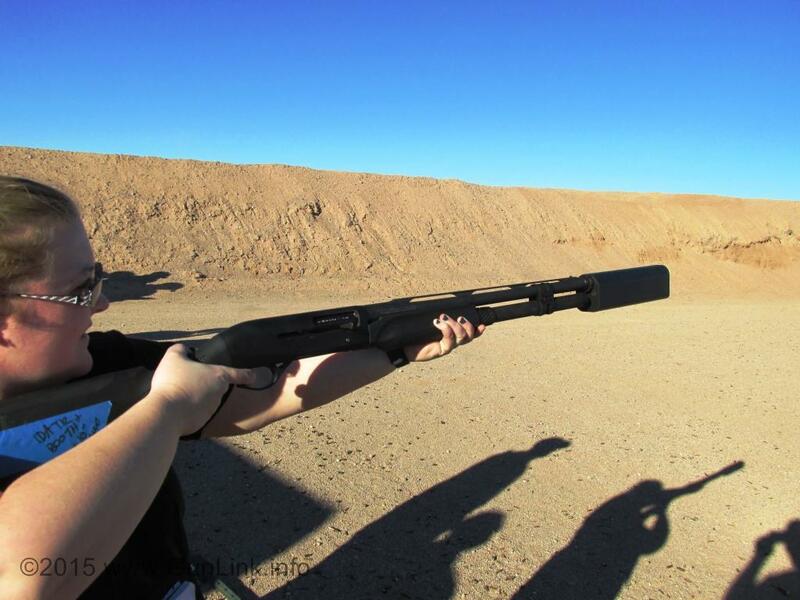 SilencerCo built a viable 12 gauge shotgun suppressor. Sure they did. You can read internet reviews, you can watch YouTube videos, you can look at spec sheets but to understand the SilencerCo Salvo and what it does for shotgun shooting. The 12″ salvo quiets the 12ga to under 137dB – below the hearing-safe 140dB threshold set by OSHA. The Salvo’s modular design allows it to be shortened, which sacrifices some of the noise suppression and recoil dampening but makes it easier to wield. Although we were shooting the shortened 9″ model, it was still muzzle heavy and was a bit unwieldy. In the 12″ configuration, the Salvo tips the scales at 34.5 oz – nearly two pounds! Not necessarily conducive to trudging through the woods or the wetlands with it on the end of your scatter gun. However, the ability to shorten and lighten it allow users to configure it to suit their needs – whether those needs are home defense, clay shooting, or hunting. We got to go hands-on with plenty of great new hardware at the Boulder City Pistol and Rifle Club for range day. One piece of gear on display was the Ascendance International line of hand guards. This line of hand guards and quad rails are made from a proprietary non-metallic material that has very little, if any, heat transfer from the rifle barrel as it heats up from shooting. Although we brought gloves to shoot with, we certainly didn’t need them at this shooting bench. The Ascendance staff had a demo M4 carbine that we quickly rattled off several hundred rounds through in rapid semi-auto and burst fire. It didn’t take long for the smoke to start rolling off of the barrel and you could feel the hot air rising off of it. 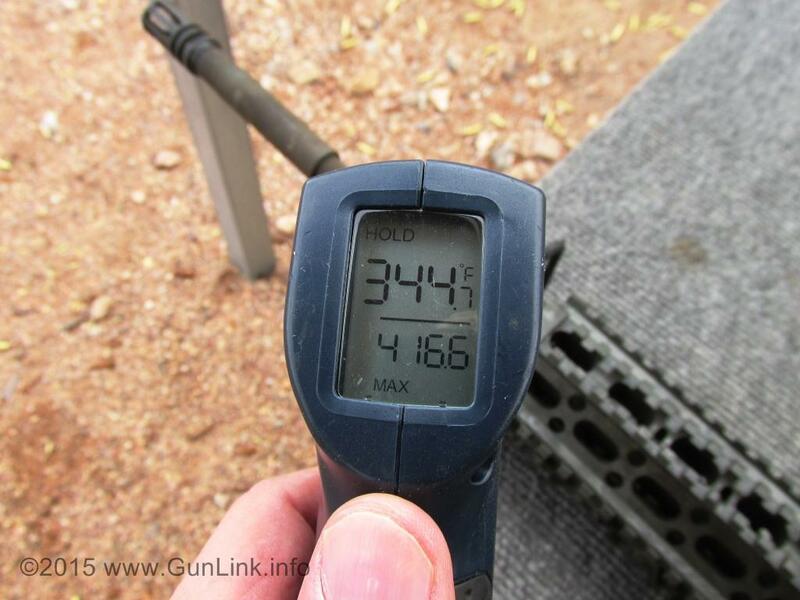 The laser thermometer that we used read a few hundred degrees cooler – a mere 80F – on the hand guards compared to the barrel. The light weight materials used allow for picatinny rails for accessory mounting, but might not stand up to other mounting systems like KeyMod gear. 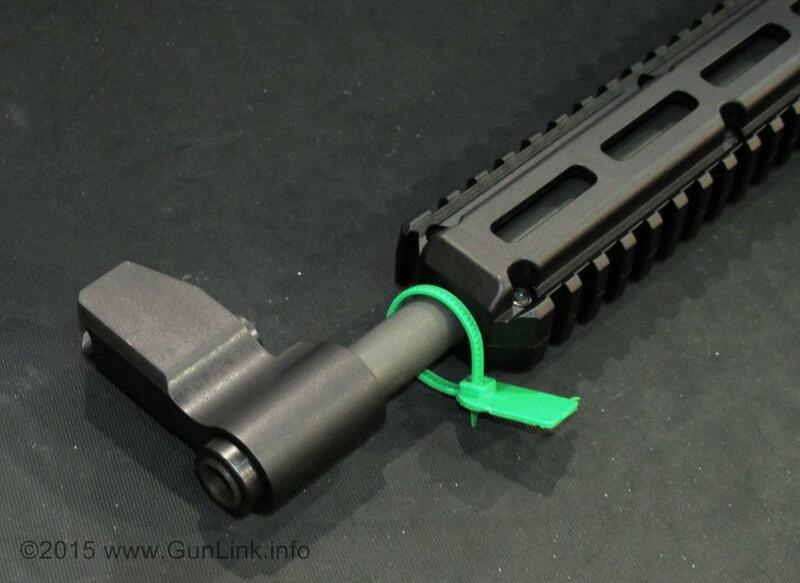 As such, shooters who already have those accessories would have to get new gear or use a rail adapter. For shooters who send a lot of rounds down range quickly, this is definitely something to check out. 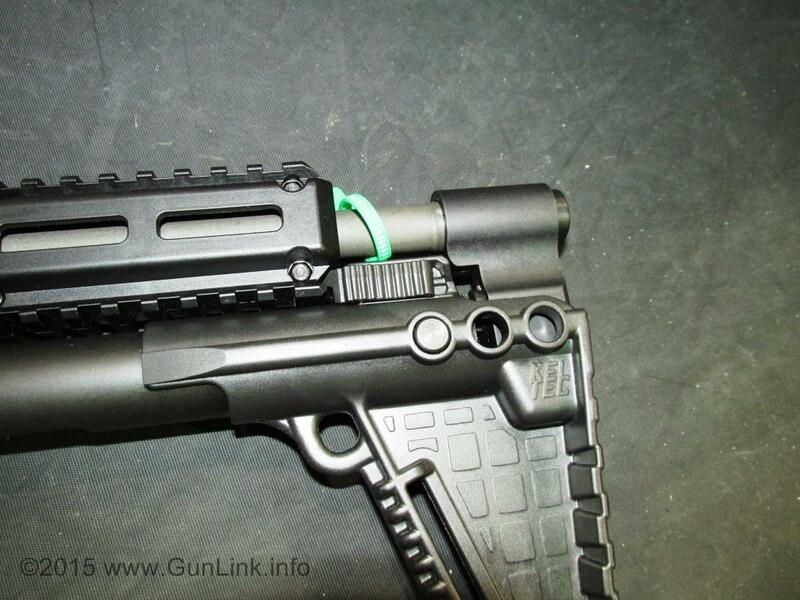 At last year’s SHOT Show, we got to try out Tac-Con USA‘s AR trigger system, the 3MR. To be sure, the 3MR was a nice drop-in trigger with a positive reset that allows for faster, more accurate follow-on shots. This year, they unveiled a couple of new goodies. The first is the addition of a super-smooth 2-stage trigger to the positive reset of the 3MR in their new model – the Tac-Con 241. The 241 isn’t on the market yet, but it is available for pre-order on their website with an MSRP of $395. The 241 utilizes the standard “fire” position for its 4.5lb assisted-reset mode, while the third position (normally burst/full-auto) activates the two-stage mode, featuring a 3.5lb take up with a clean, crisp 1lb break. Tac-Con was also demoing their AK-47 trigger, the Tac-Con Raptor. The Raptor drop-in maintains the AK-style rifle’s usual safe position on the selector and replaces the standard, long, gritty AK trigger pull with Tac-Con’s assisted-reset on a non-adjustable 4.5-pound trigger pull weight with virtually no take-up or overtravel. 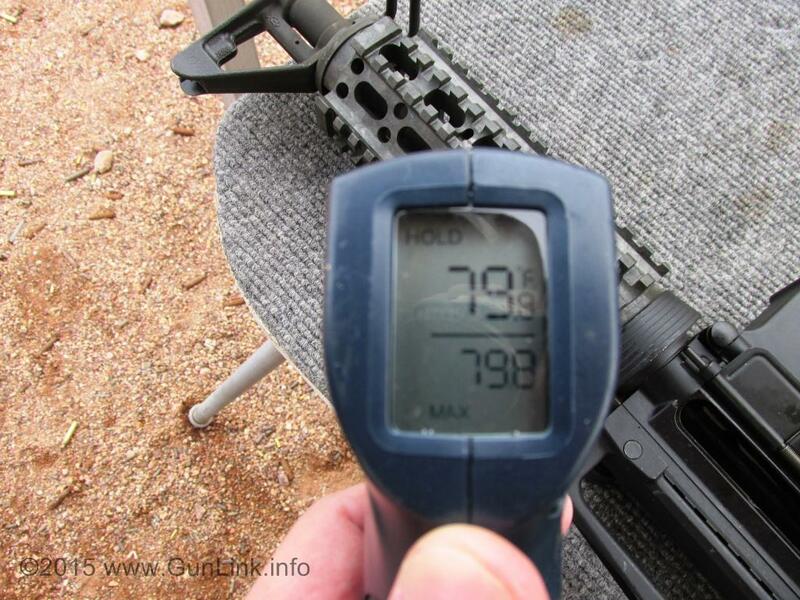 At the shooting bench, they had shooters first try a G2-equipped AK before shooting a Raptor equipped rifle. The G2 is much better than a stock AK trigger but there was just no comparing the improvement the Raptor made over the G2 or a stock trigger. The downside is that the Raptor lists for $349 and has a 6-8 week lead time, but serious AK shooters may want to give this trigger group a look. 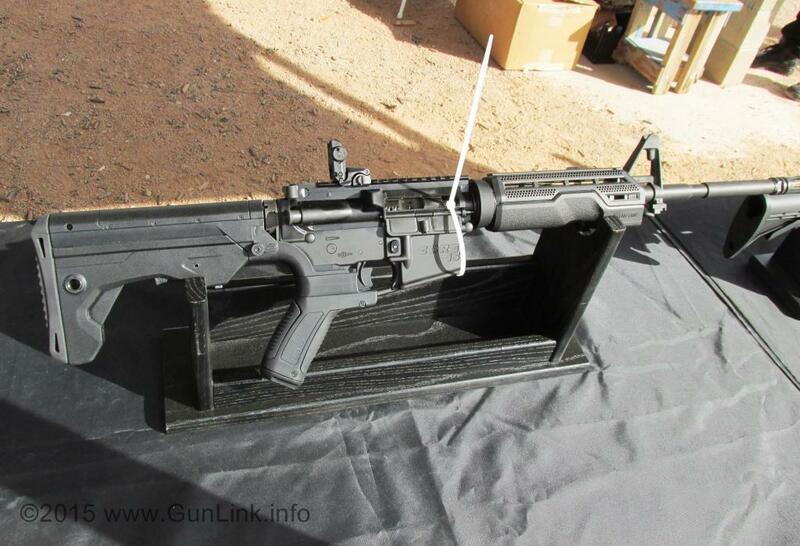 CMMG was at Range Day with their new 7.62×39 MK47 Mutant. Announced last month, the Mutant rifle series combines the aesthetics and accuracy of popular modern sporting rifles (MSR) – as AR-type platforms have come to be known – with the reliability and power of the 7.69mm round used in AK47s. 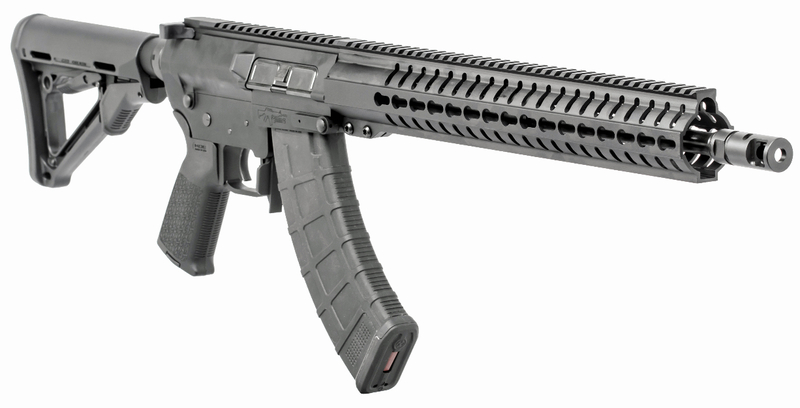 The MK47 feeds from standard AK-47 magazines and features 7075-T6 billet aluminum upper and lowers. 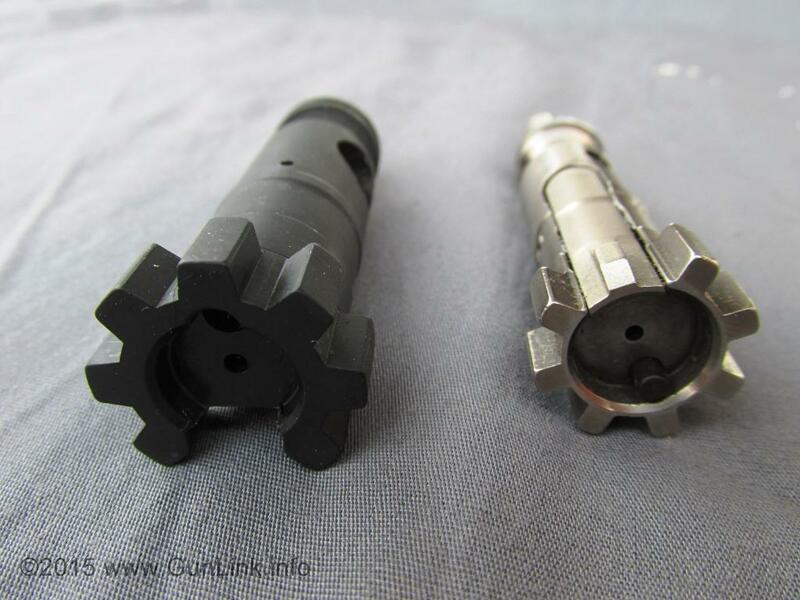 We were a little surprised to see that they opted for a direct-impingement gas system over a piston, but that is what they did, citing its “proven reliability.” The bolt carrier group, rather than being a bored-out AR-15 bolt, is derived from an AR-10 – maintaining the beefy bolt face while shortening the overall length of the BCG to 8″. The Mutant comes with 16.1″ 1:10 barrel under CMMG’s RKM15 KeyMod hand guard on all models, which also come with a Magpul 30 round AKM MOE magazine. The Mutant line includes MK47 T, AKM and AKM2 models – which range in price from $1,500 to $1,850 – with the increased price buying you improved muzzle brakes, improved furniture and a Geissele trigger. Range Day attendees had a chance to fire a number of offerings from KRISS – including the ever-popular Vector models as well as their SDP pistol lineup. That lineup, in addition to seeing new color options, had a new member this year in a sub-compact model. The SDP subcompact saw a number of changes to make the pistol more carry friendly. Those changes included the obvious size reduction but also the removal of the FS style trigger guard and the addition of more snag-free sights. The subcompact carry pistol features a de-cocker only, abandoning an external manual safety – a feature that many CCW-ers appreciate as one less thing to worry about when fractions of a second matter. The new model will accept magazines from its bigger bothers, albeit with some extra length hanging out of the grip although, currently, no magazine collar is available to keep the mag flush-fitting. Ammo is coming back (centerfire ammo, at least) and some shooters are anxious to burn through as much as they can in as little time as possible. Unless your are lucky enought to have a pre-86 machine gun or pending the success of a certain NFA lawsuit that would allow trusts to make new MGs, bump-firing is a fun way to burn through that ammo in a hurry. SlideFire has been making bump-fire fun and easy for a while now. 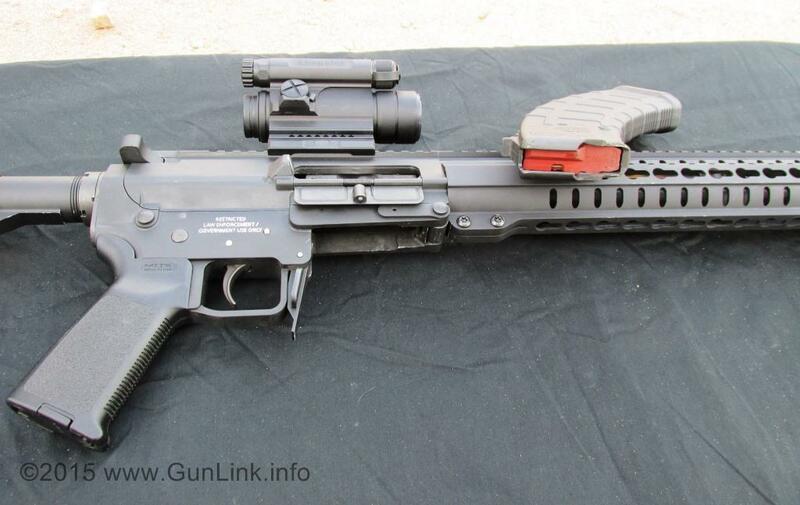 Their new MOD stock is a great improvement over several aspects of their previous OGR and SBS offerings. The most immediately obvious improvement is aesthetics. The new model looks great. That redesign isn’t just cosmetic, though, it adds an adjustable length of pull – an important feature given the method of operating a bump-fire stock. The redesign also includes improved controls that allow for ambidextrous use to accommodate right- and wrong-handed shooters, a on/off switch located under the pistol grip instead of under your armpit, and better lockup when operating in normal fire mode. 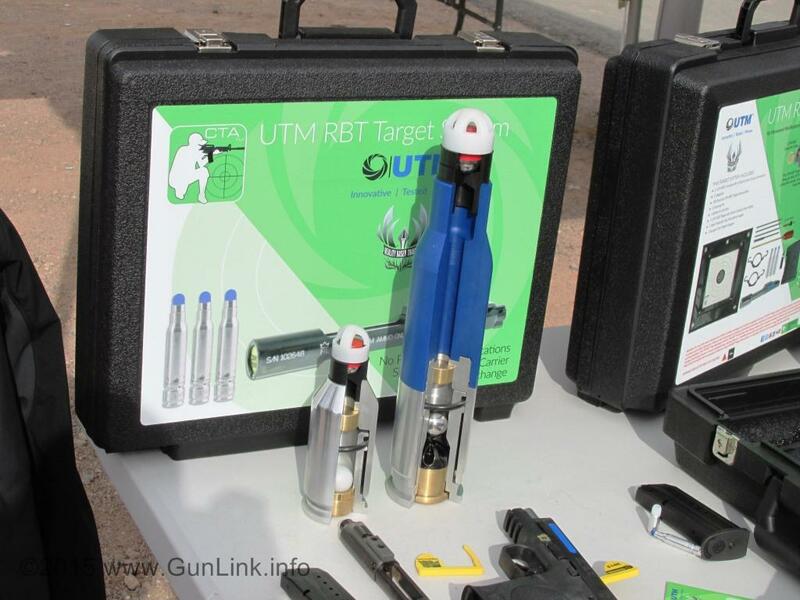 UTM Worldwide was showcasing several of their non-lethal firearm systems at Range Day, including their LEO/mil-only non-lethal force-on-force training system and the new line meant for the civilian market. The Civilian Target Ammunition (CTA) line from UTM offers an alternative to live-fire or dry-fire practice – ending up somewhere between the two. The CTA system is similar to UTM’s force-on-force rounds but is not meant to be shot at anything other than targets. 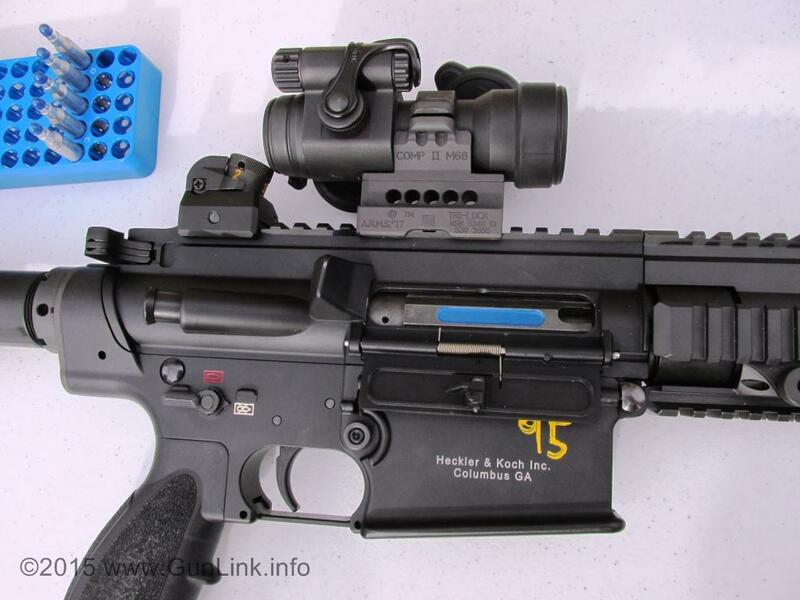 The system consists of a conversion kit (a BCG for the AR platform, a slide and/or barrel for many popular pistols) that allows their special ammunition to be fired from your own firearm, with your own controls, in your own environment. The non-toxic, non-fouling rounds use a two-primer system: the first cycles the action and sets off the second primer, which fires the 1-gram plastic projectile at around 375 fps. Pistol conversion kits feature a design that will not allow live ammunition to be chambered at all, while an offset firing pin makes firing centerfire ammunition impossible – adding an extra degree of safety to the training/practice system. We got to try out the system at Range Day and it was a lot of fun. The system provided the weight and controls of the actual firearms while staying hearing safe (something we welcomed that day!) and grouping much like its live-fire counterpart for the ranges at which we engaged the targets. The CTA system isn’t on shelves yet, but UTM is taking pre-orders for shipments that will be filled in the coming months. 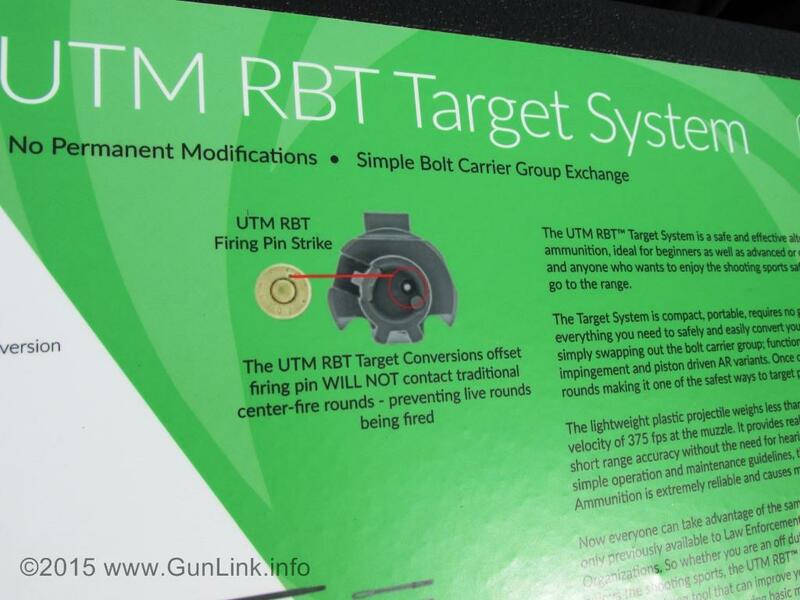 The system is available in a package that comes complete with the conversion kit, targets and target stand, carrying case and a couple boxes of ammo. 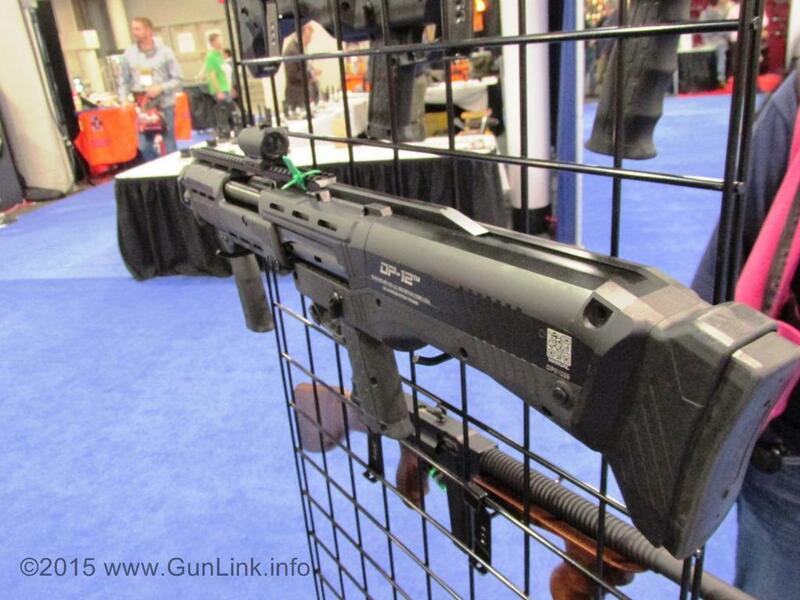 You saw it here – new products from Kel-Tec at SHOT Show that will actually be shipping! We got to get behind a couple of fun little guns at Range Day. The first was the second generation of the popular SUB2000. The SUB2000 redesign brings a new look and feel featuring rails at 12 and 6 o’clock on the hand guard and M-Lok slots on the sides. The stock is now adjustable and features sling attachment points and an improved latching mechanism to hold it together when in the folded configuration. The front sight got an overhaul too with metal construction and windage and elevation adjustments. 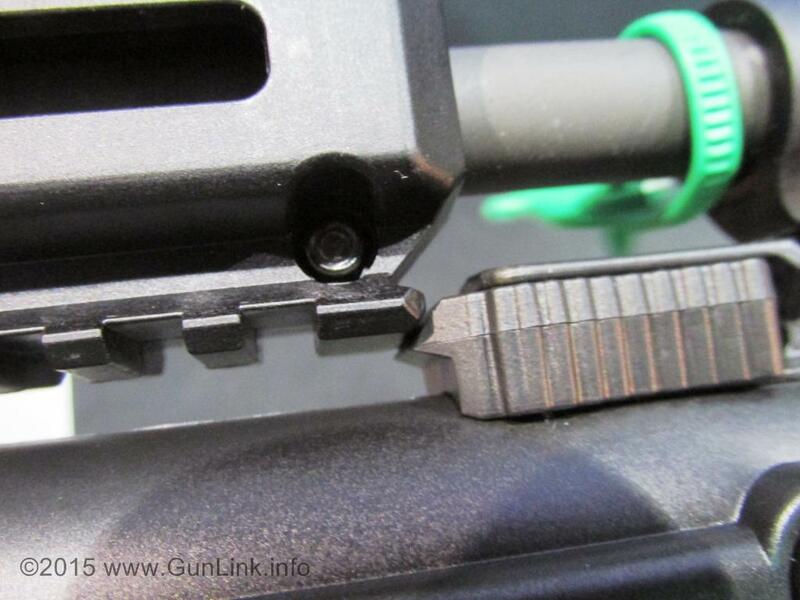 The front sight retention nut can be unscrewed (something it tried to do on its own at Range Day) to reveal 1/2×28 thread to mount muzzle devices. 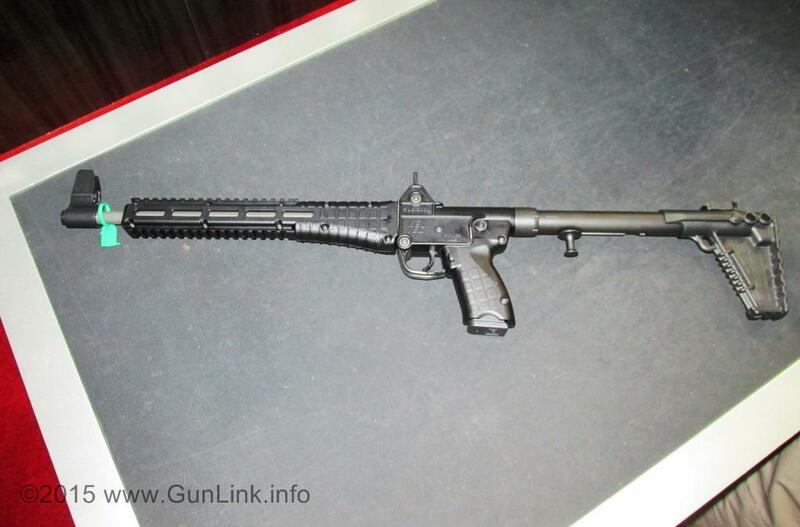 We also got some trigger time behind the CMR-30 – a carbine version of the 30-round .22WMR pistol. Distances are hard to judge in the clear desert air of Range Day, and it turned out that the metal targets which we had no trouble peppering with rounds were out at 100 yards. The CMR-30 features a multi-position collapsible stock, giving an OAL of just under 22″ when collapsed and just under 31″ extended. 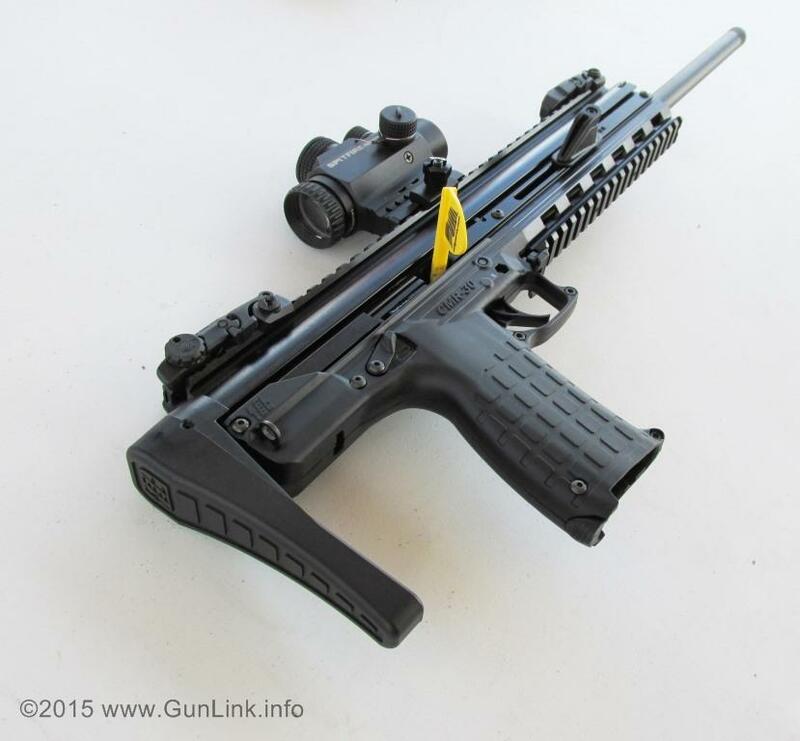 The 1/2×28 threaded 16” barrel accepts a number of fun-increasing muzzle devices. 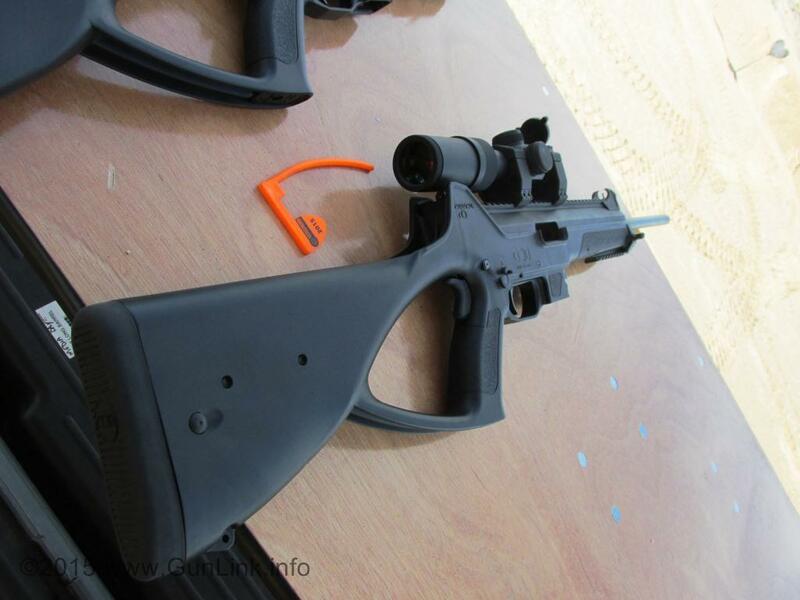 Although the CMR-30 ships with Magpul flip-up sights, many users may opt to install an optic on the top picatinny rail. The best part? It’s shipping. 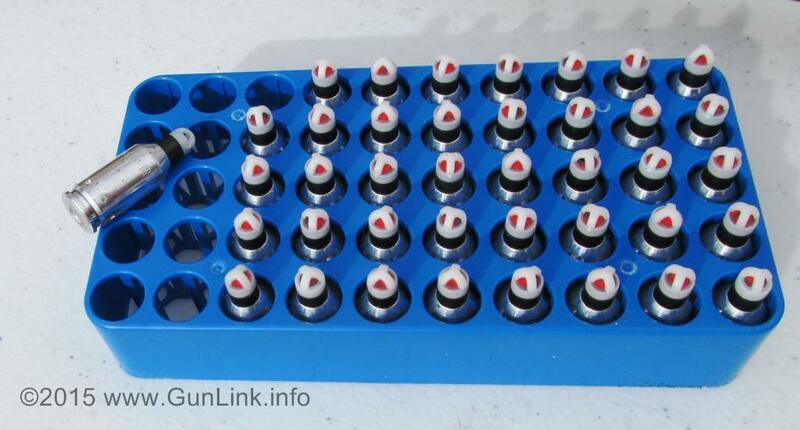 It may be shipping slow, but it is shipping and, post SHOT Show, production is expected to increase to 500 units/week. 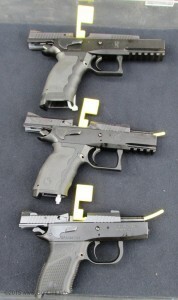 Caracal had their new firearms at Range Day, including a line of 1911 pistols – their only .45ACP offering – and 9mm carbines. The guns looked good, shot well and seemed well made, although it would be nice to see them in different calibers. 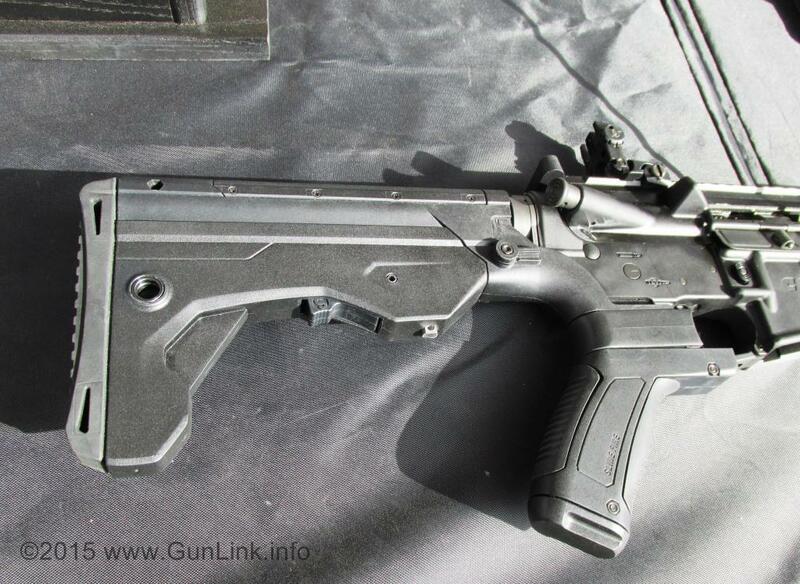 The pistol caliber carbine is expected to come in with an MSRP around $600, well below Beretta’s CX4 at $915. 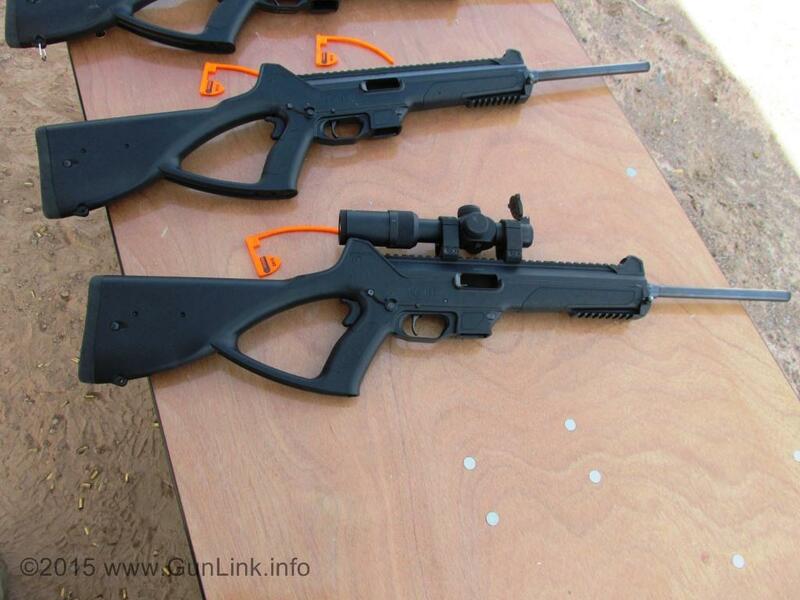 Caracal also had their new sniper rifle at the range, but we didn’t get a chance to get trigger time on it. More on that rifle in our show floor coverage. We are not sure what need the DP-12 from Standard Manufacturing fills, but it was fun to shoot. Company personnel stayed busy loading the shotguns and keeping them lubed up and the long line of shooters stayed busy unloading them 16-rounds at a time in a matter of seconds. 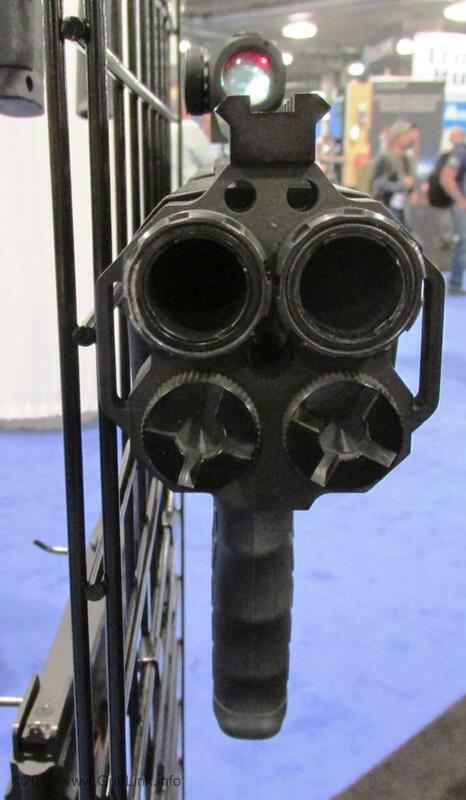 The double barrels are fed from twin 7-round magazine tubes below each barrel. Each rack of the action loads two rounds, one into each barrel; the trigger fires each barrel successively. Think KA-chunk-BANG-BANG, KA-chunk-BANG-BANG. Throwing that much lead down range might sound like work, but the DP-12 was quite manageable, even by our smaller female shooter – although she did have a little trouble cycling the action with the increased friction from having to extract two spent hulls at once. The DP-12 is fun but the $1,400 price tag will cause some buyers to shy away, as will the fact that it is currently exclusively distributed by Cheaper Than Dirt. Korth Arms had several very nice handguns on display at Range Day and the GunLink crew had a chance to get behind them to send some rounds down range. One of the Korth handguns to generate a lot of attention was the 2″ snubby Sky Marshall 9mm revolver. The moon-clip-free revolver extracts the rimless cartridges with small pins that slide out under the case head when the extractor is pressed. The 19oz Sky Marshal was a pleasure to shoot both SA and DA. Although the DA trigger was long, it was smooth and didn’t feel heavy or cumbersome, unlike many DA revolvers. That innovation and quality will set you back $1,000 – a steep price for a snub-nose revolver. Korth also had their PRS 1911s at range day. The PRS pistols shoot great – they are accurate and have a great trigger on them. Our female shooter, who often has trouble cycling the slide on semi-auto pistols, described the action as one of, if the best, easiest to use that she had shot. The PRS did seem sensitive to “limp wristing” and we induced several malfunctions when shooting without a good, solid grip. 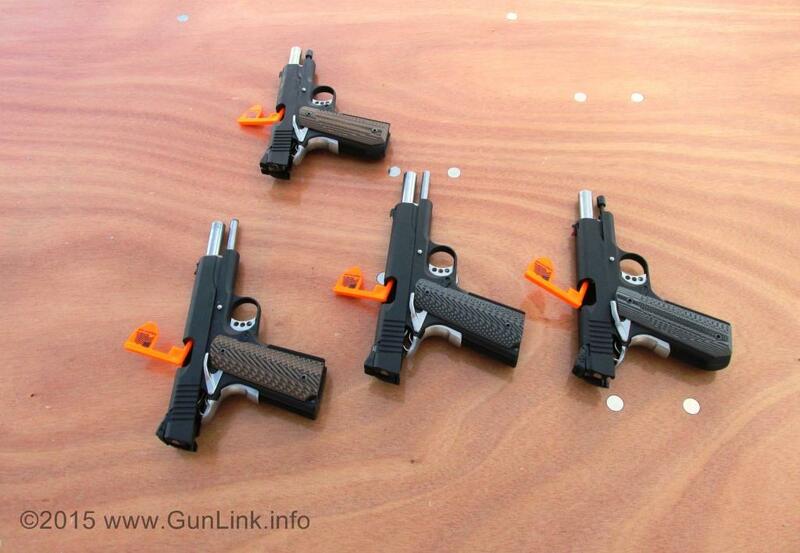 These are great little pistols if you have a spare $3,000 laying around. 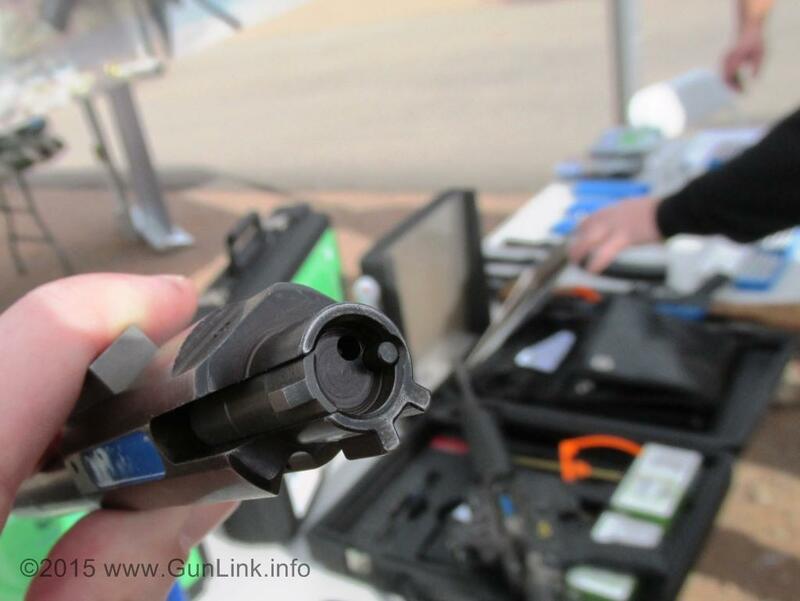 Keep your eyes on the GunLink Blog and GunLink Forums for more coverage of what we saw at SHOT Show Range Day and on the show floor. 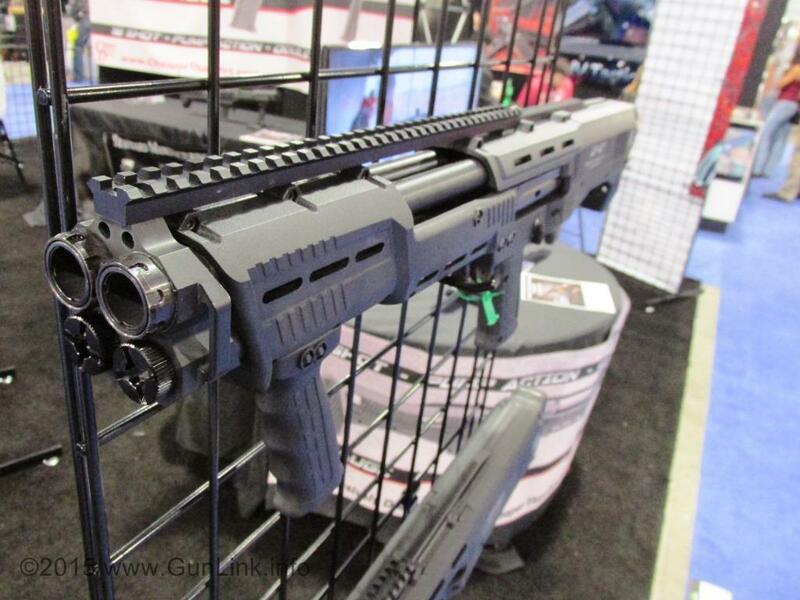 Pingback: Double-Barreled 12 Gauge Pump-Action DP-12 Shotgun Available at Gunz Inc! | Gunz Inc.